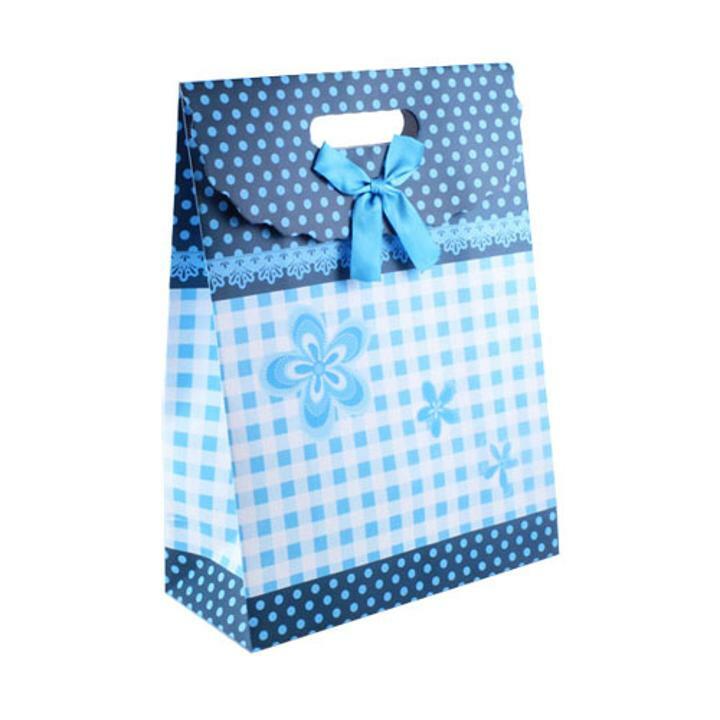 Medium blue gingham flower gift bags. Made from great quality and can be used for weddings, birthdays, graduations and more. This medium sized bag measures 7.5" x 10.5" x 3.5".